When I looked though this one was so cute, and I couldnt help but play along. 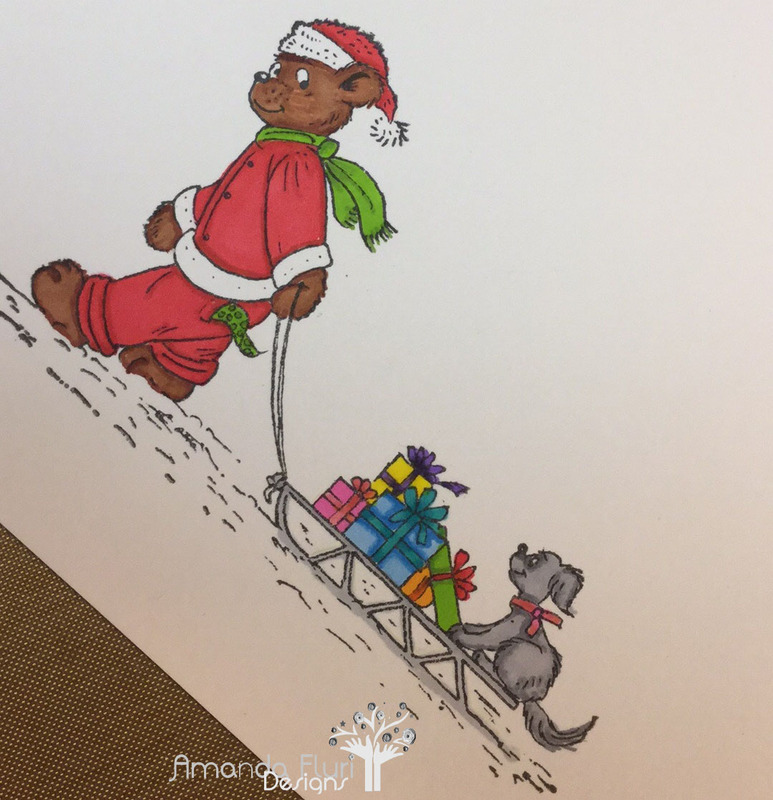 I wanted to do a card for a birthday, however with Christmas so close and around the corner I thought that my time would be better spent making a card for Christmas with bears on them. When I was flipping through my stamp catalogue (my book with all of my stamps shown in it) I found a couple stamps that would work for this card and I found a couple stamps that worked, but finally settled on this stamp. If I have time I might make a second card with one of the other stamps to enter in this challenge, but I am not sure how likely that will be. I would love to hear what your best practices are for card making for holidays. 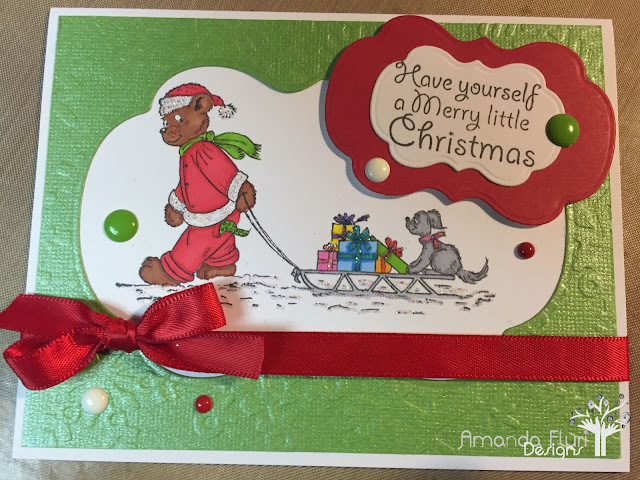 I would love hearing how you build a stash of various cards for the holiday or various designs. How do you stock them so that you arent scrambling last minute to get them done for everyone on your list. Any help or feedback would be greatly appreciated. Stickles - Icicles - used to add shimmer to the card, and different parts of the gifts. White Cardstock - used for the card base and to stamp the wording to. Thank you so much. I kept this one pretty simple, but honestly that image and those papers :) I very much enjoyed playing along. This is a darling holiday card! 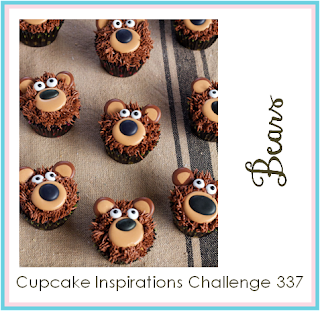 So glad you were inspired by our Bears challenge at Cupcake Inspirations! Thank you so much. Picking just one image was soooooo difficult!